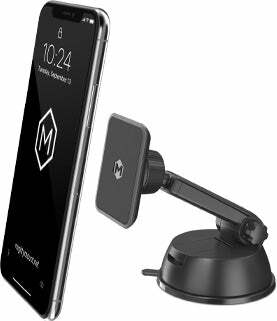 Ultimate ease now delivered with this smooth luxury- just one simple touch of a magnet and your phone is secured to put your pedal to the metal. 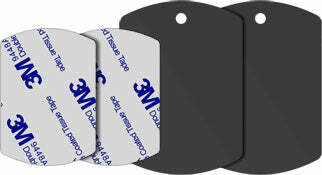 6 Neodymium Magnets make this the strongest hold on the market, and you the savviest driver on the road. 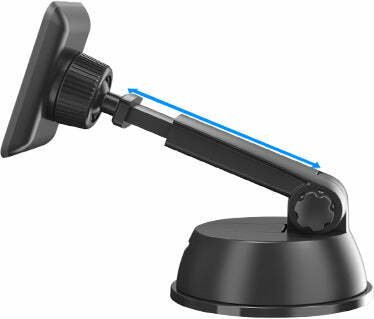 Wide range of tilt and rotation and Adjustable Arm for both normal or low angles mean you can always have the perfect view of your screen, whether you’re reclined in cruise control or up-front and center. Super-strong Suction Base with gel pad ensures your mount stays put through even the roughest and toughest of bumps in the road. Talk and drive safely with hands-free connectivity that offers ultimate security for you and your passengers while you enjoy the journey. 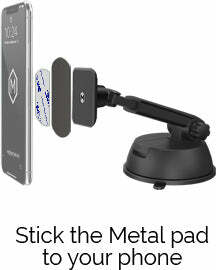 The compact and powerful magnetic car mount that secures your device with just one simple touch. 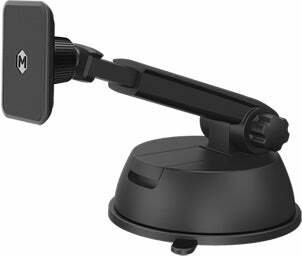 Offered in three different formats to securely attach to either your dash, windshield, or air vent, this savvy device is ready for any vehicle. You’re just one touch away from one epic drive. viewing angles in vehicles of all sizes. Meet the most powerful magnet mount on the market. 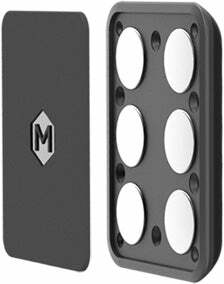 Simply place the smooth metal plate against the back of your phone or case, and 6 potent neodymium magnets embedded within the mount grip your phone like a fortress for even the most rugged of roads. We’ve got everything you need. 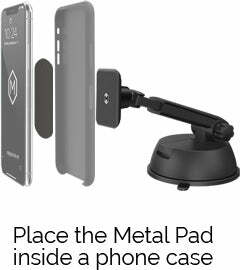 Two metal plates, Simpl Touch mount, (air vent/ dash/ or windshield) Clip, signature 12-month warranty and dedicated customer service. Time to put it in drive. No muss, no fuss. 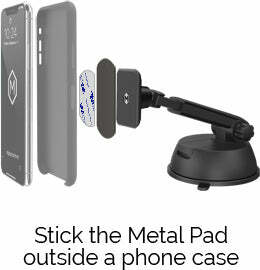 Just place the metal pad inside or outside of your phone case to trigger the magnet- sleek style for a savvy driver.